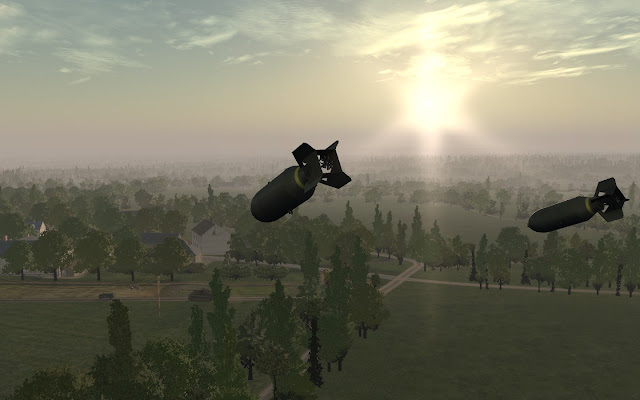 DCS 2.X has been in alpha status for so long that I forgot to care. 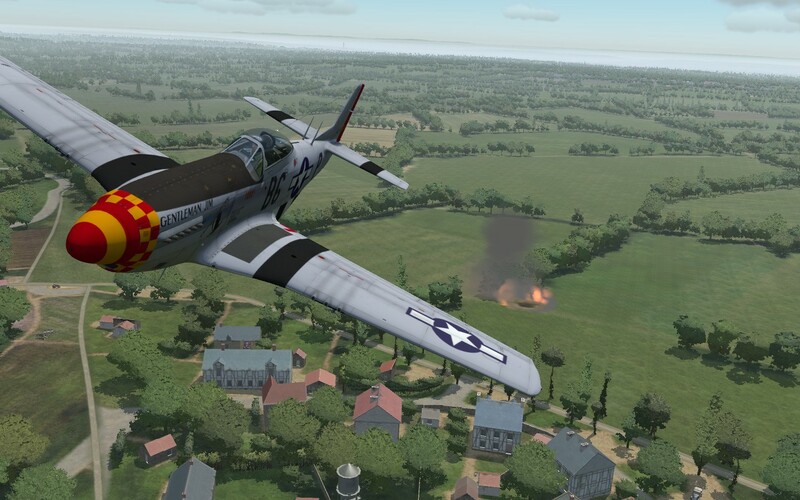 A new map for DCS 2.1 has been released, alpha status, and it is Normandy circa 1944. It looks beautiful and it is an impressive map. 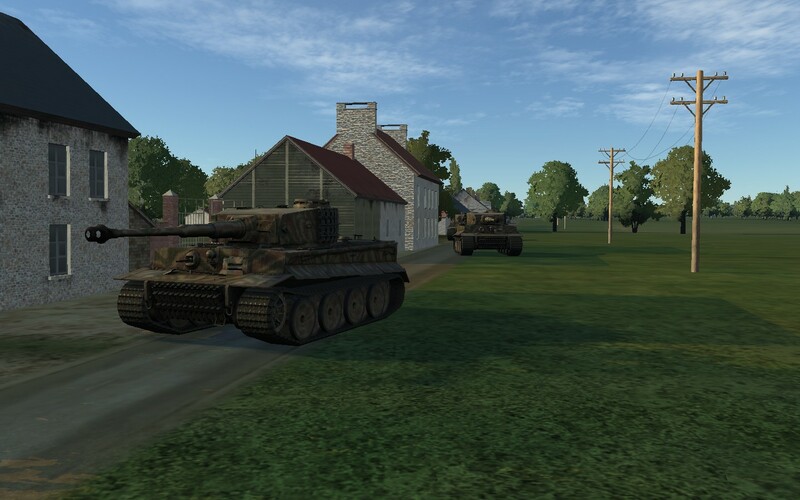 I've seen less amount of detail in WWII 3D computer war games, to be honest. A giganormous amount of terrain richly rendered. 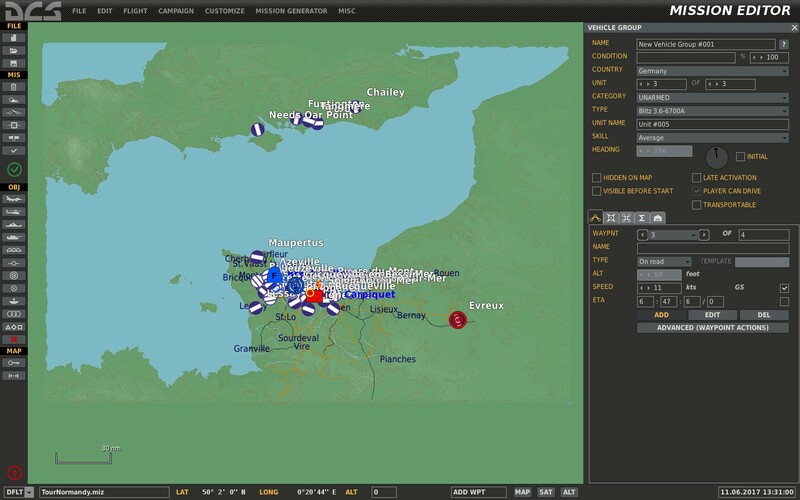 Screenshot from the mission editor. 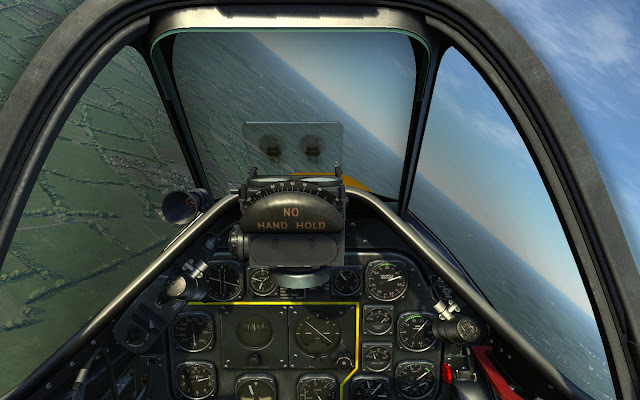 The cockpit of the only WWII virtual aircraft I own, the wonderful P-51D. 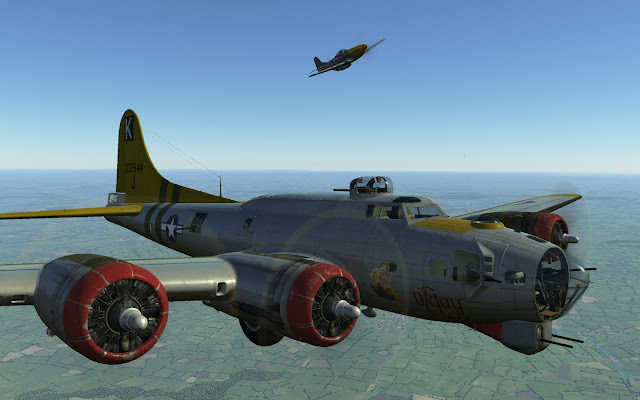 The B-17, icon of air warfare in this time period. Non-flyable. A so-called "assets pack" is available for extra money. It brings a handful of land vehicles and the promise of increasing the inventory for free at a later time. It better, we can't fight in Normandy with such a limited variety. German armor in the fog. As soon as I get bounced by German fighters, those bombs have to go! A suburb of Caen. It makes you wish you can do land combat in that thing below. 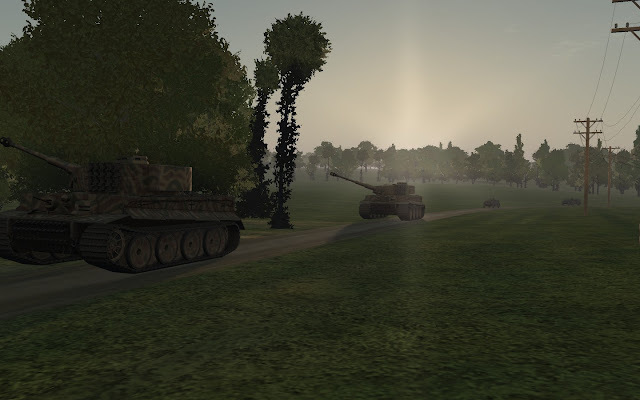 These two suckers will certainly miss the German convoy. 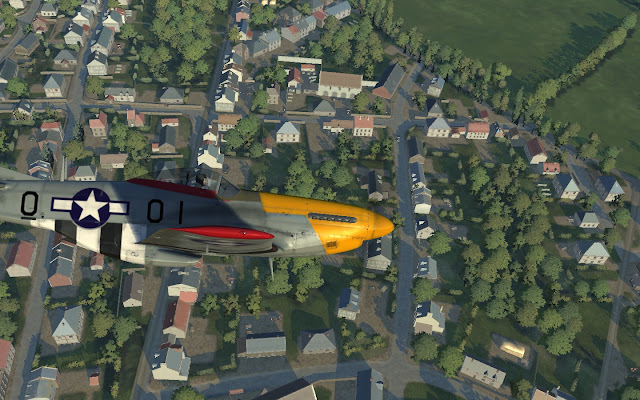 Right now, the only thing DCS Normandy 1944 has going is the sheer amount of detail of the map. On the one hand, the DCS 2.1 engine in which this map runs delivers stunning visuals and effects that add a lot of immersion. On the other hand the engine is very demanding for mid-range systems and graphics cards and the amount of hardware to play around is ridiculously limited (most missed one from me: no Flak). I understand is an alpha version but I am not hopeful the performance will improve significantly, and I am not convinced that a critical core of land systems will be added quickly enough. Here is to hope that I'm totally wrong, because the high fidelity flight models of DCS are fantastic and I enjoy the flexibility of the scenario editor. 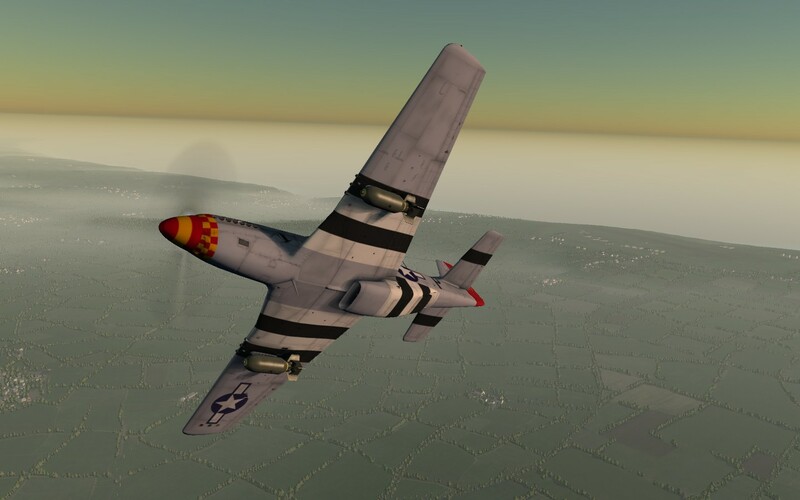 On the meantime and as of today, I recommend this one only to the DCS enthusiast. Looks truly awesome. Considering it's Eagle Dynamics, I'll just wait more 8 years to purchase it when it reaches beta. LOL. Very true, sir! :) And by that time it will be obsolete already. Too bad I was really interested in this but I guess I should wait then for full release.